Interesting project, crowdsourced US neighborhood polygons based on Flickr tags. 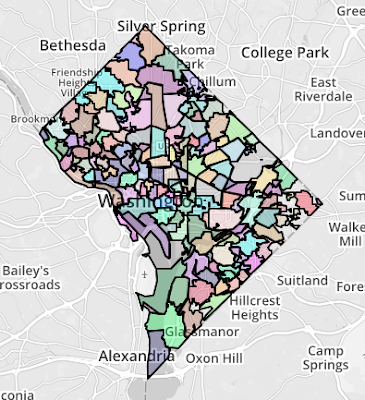 Although this project is still experimental in nature, the website allows you to search for different US neighborhoods and download polygon boundaries in shape file format. You can also edit these boundaries and download custom GeoJSON with your edits applied.